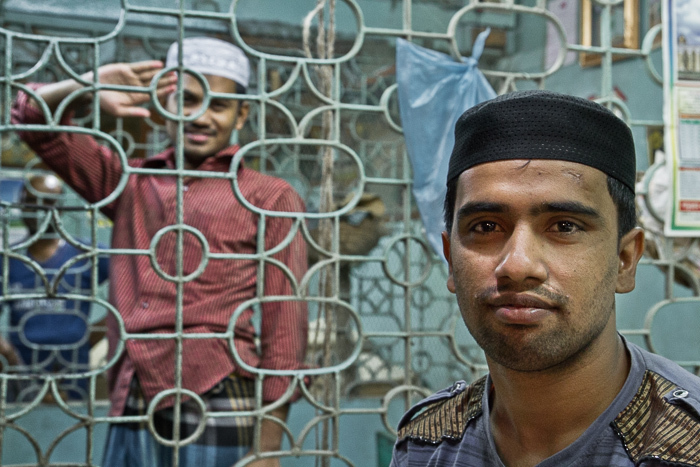 Chawkbazar in central Dhaka, the capital of Bangladesh is a chaotic place in one of the most densely populated places on earth. Yet it is well organised. The network of streets is split into sections, each representing a certain business domain. Clothes shop is never next to the butchery and books are not sold next to machine spare parts. It's a diverse place and every shop or stall is a small world, different from any other. 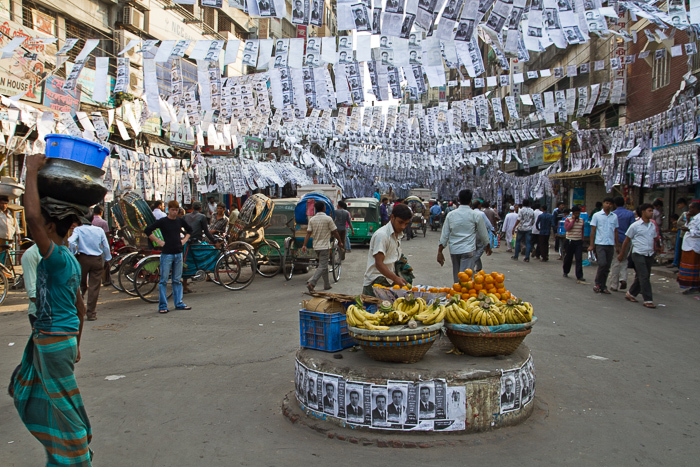 A man is carrying a bucket along a fruit stall at a roundabout at Chawkbazaar in Dhaka, Bangladesh. 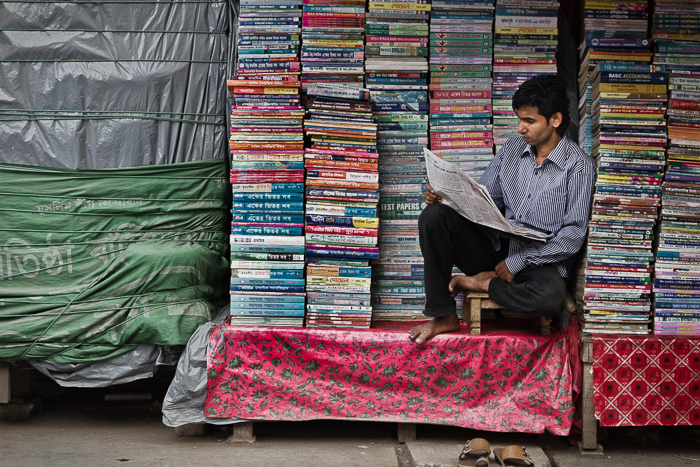 A book stall keeper reading a newspaper at his stall at Chawkbazaar. 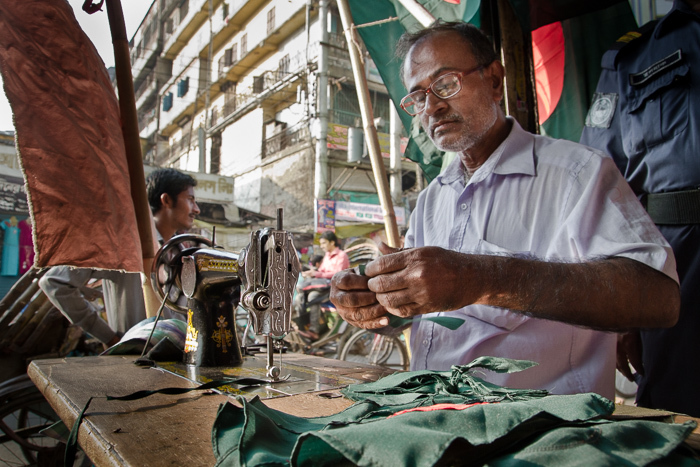 A man is making flags that are immediately ready for sale in the street at Chawkbazaar. 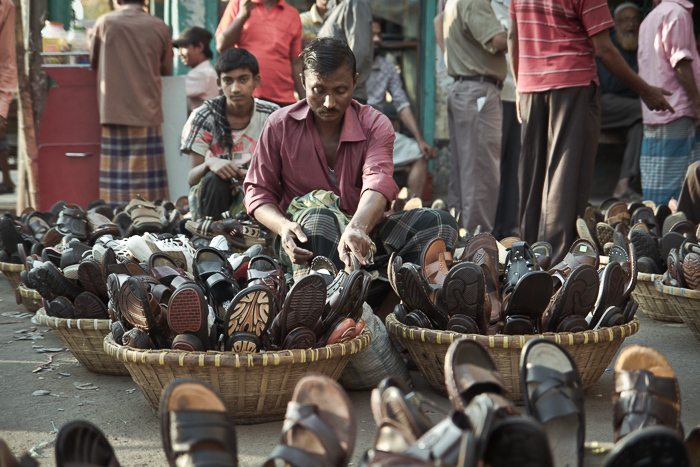 Men selling shoes at Chawkbazaar in Dhaka, Bangladesh. 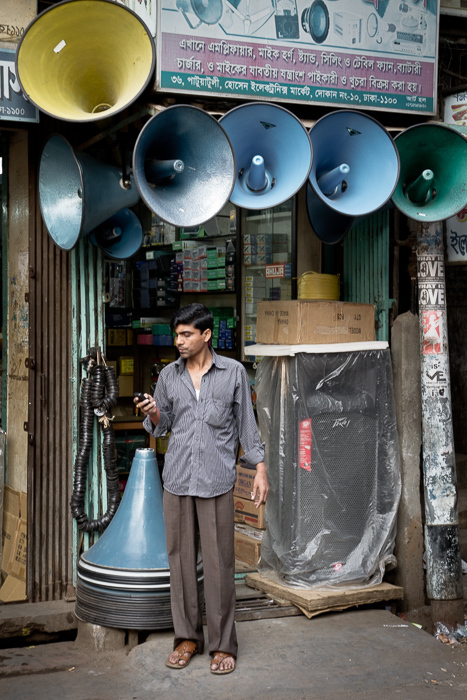 A man with a mobile phone at the entrance to a shop selling sound systems at Chawkbazaar. 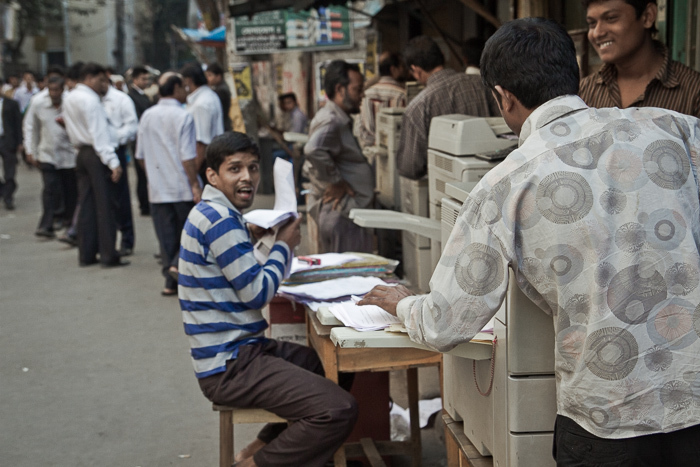 A man making photocopies in the street dedicated exclusively to photocopying by the court building at Chawkbazaar. 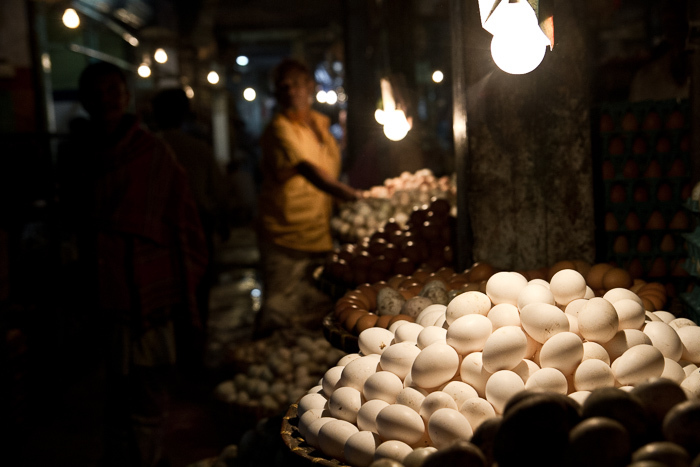 Indoor egg stall at Chawkbazaar. 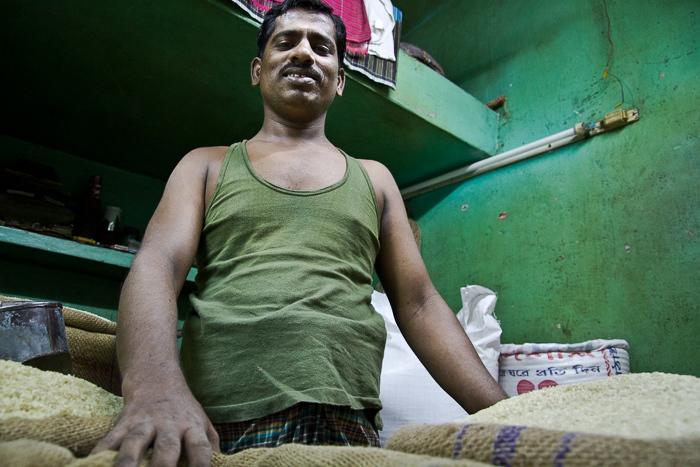 Rice shop owner at his shop in Chawkbazaar. Butcher shop owners at Chawkbazaar. 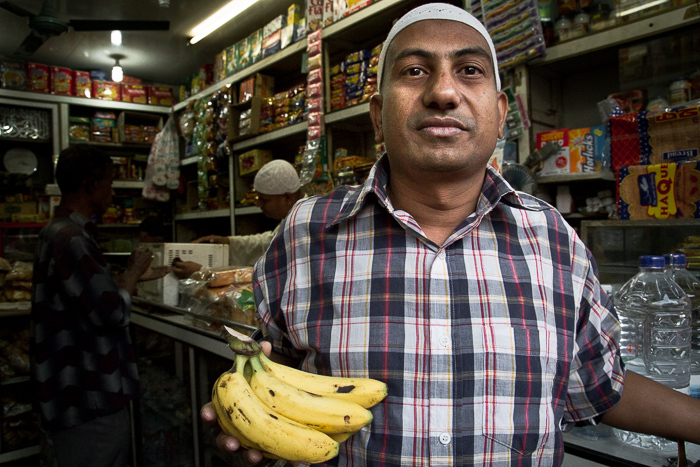 Grocery shop owner holding a bunch of bananas in his shop at Chawkbazaar. Shoe shop sellers having tea at their shop in Chawkbazaar. 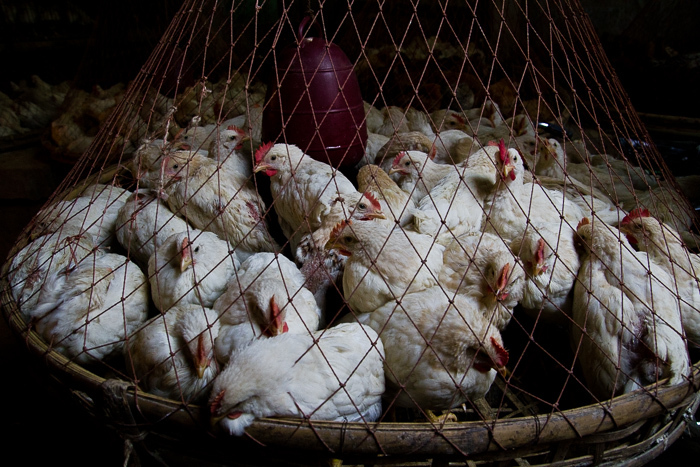 Chicken for sale at a chicken stall at Chawkbazaar.